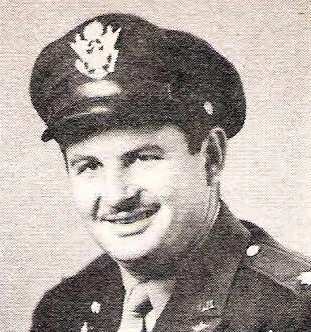 Maj. Jack Blackwell, son of rs. Fay Blackwell, Jean, husband of Gloria Valesco, attended Texas Tech. Entered AAC, 1938, trained at Randolph Field and Kelly Field, Tex. Served in India and Burma. Awarded Air Medal, DFC and 3 Clusters. Discharged in 1945.